Ever since I was little, I have lived up to my name. Emily, after all, means industrious. I like going fast; not worrying about stopping until everything is all done. Come over to my house sometime and my mom will tell you all about my famous accidents with cornbread. 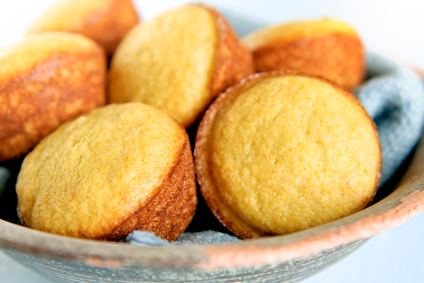 Every time I make cornbread, I am haunted by the millions of times I have ruined millions of batches of cornbread. Thanks, Mom. I have been told stories that as a very little girl, I sent Mom scrambling every morning for the shower, because if she wasn’t awake, but I was, disaster was destined for greatness. Recently, my mother was (and still is) pregnant, my sister was sick, my dad was (and still is) starting a new business, and my brother was being potty trained. I was the only cadet still healthy on the ship and I felt it was up to me to do EVERYTHING all by myself. I managed to take out the brand new puppy, feed the horse, feed the dogs, make cornbread (lolz), give Ally some cough drops, and keep Mom up. When Mom insisted on cooking chili because she felt better, I insisted on keeping her rested. When I had finished baking cornbread (it did come out alright, don’t worry), Mom told me to go sit down and watch the Avengers with my little sister in the bedroom. That was hard. Doing everything by myself has been a struggle of mine ever since I can remember. I can’t remember a time when I wanted to stop going fast by myself. I find myself gravely admitting to forgetting God’s care for me. …casting all your care upon him, for he cares for you. I never understood until the day I finally sat down with my family, that to reject help is to reject my family’s care for me. And to reject my family’s help for me, I reject God’s care for me. Although it is pretty far fetched from the book, the analogy of Legolas, Tauriel, and Kili fits my situations perfectly. The elf Legolas loves the she-elf Tauriel, but she is off and in love with the dwarf Kili and ignores Legolas as much as she can. He never forces her into marriage. He simply lets her make her own decisions. Even though he saves her life twice: from an ugly orc and an elf king (who really wants to kill her because she loves the dwarf). The picture above really describes what he probably thinks in his mind but never says because of how much he loves her. Some people may disagree, but I will always take Legolas’ side. He’s awesome. Alike Legolas, Christ is always there. Poking his head in to remind us He is always there for us. He loves us and will always be there to save us and help us. 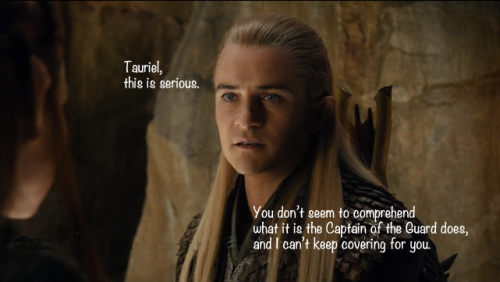 He just wants us to get our eyes off our tasks and let Him handle it; He wants Tauriel’s eyes off Kili. And, in Lois Lowry’s The Giver, Jonas is given the task of receiving the pain, beauty, and realness of the world. He is, however, not alone. He has the old and wise Giver who he has to lean upon and share his feelings with. We are not alone in this world. We have Christ to lean upon, to weep upon. To hug when there’s no one to hug. To be lead when there’s no one to lead. Christ is our comforter. The Lord is our Rock, He knows what we need. He has given us family, friends, and above all, He sent His Son; His one and only Son to save us and to always and forever be our help when we need it. To give us relief and to give us the courage to ask for help and breathe. And, to slow down when making cornbread.